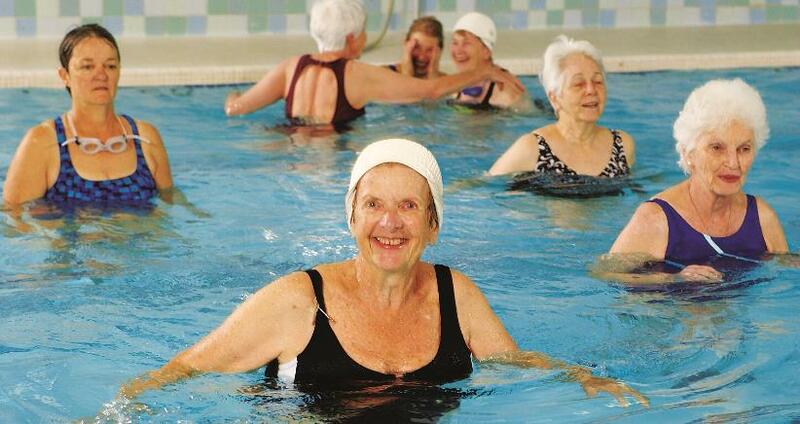 The YMCA's Water Fitness program encourages people of all ages to use the buoyant qualities of water to enhance their physical fitness through exercise. It’s an ideal form of exercise for all ages and increases physical strength and endurance without putting stress and strain on joints. Swimmers and non-swimmers alike can take part in this type of exercise to reduce emotional stress and tension, improve health, and encourage and improve feelings of well-being and self-esteem. Low impact class, meets in shallow water, geared specifically towards individuals who need a low stress workout for feet/knees/hips. No swimming ability is required. Offers fun shallow water moves with a specially designed SilverSneakers kickboard to improve agility, balance, flexibility and cardiovascular endurance. No swimming ability is required. FREE to SilverSneakers Members! Medium to high intensity depending on class participants. Cardiovascular along with toning, flexibility, and abdominal work.